The Monkey Orchid grows to between 15-30cm tall and has 4-6 pale green-to-white basal leaves with a few smaller leaves clasping the upper stem. Each inflorescence carries between 15-55 flowers which open from the top of the spike downwards. The upper sepals and petals are white veined with pink and form a hood over the lip of the flower. The lip is three-lobed, and white marked with pink dots. The lip divides further into secondary lobes which are curly and project in all directions - the 'limbs of the monkey'. Very rare in the UK and confined to only three sites, two in Kent and one in Oxfordshire. 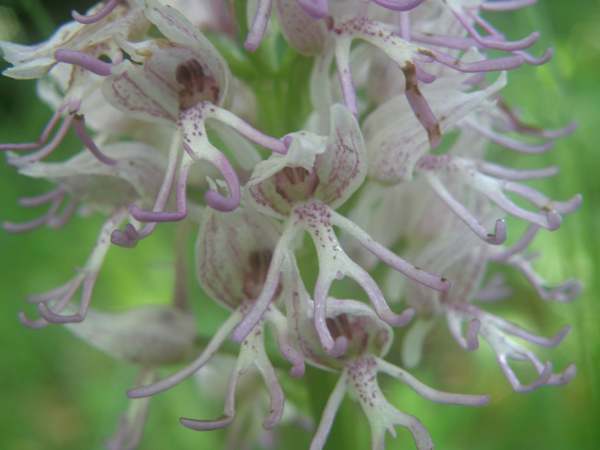 The Monkey Orchid is widespread in Europe from Holland in the north as far south as the Mediterranean region. It is also found central and eastern Europe and in North Africa. The Monkey Orchid favours full sun to mid-shade on dryish calcareous soils and occasionally appears in open woodland. 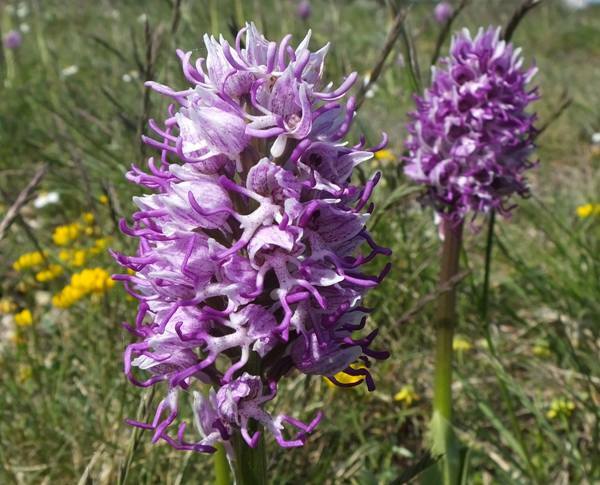 In the UK this orchid flowers in late May and early June. 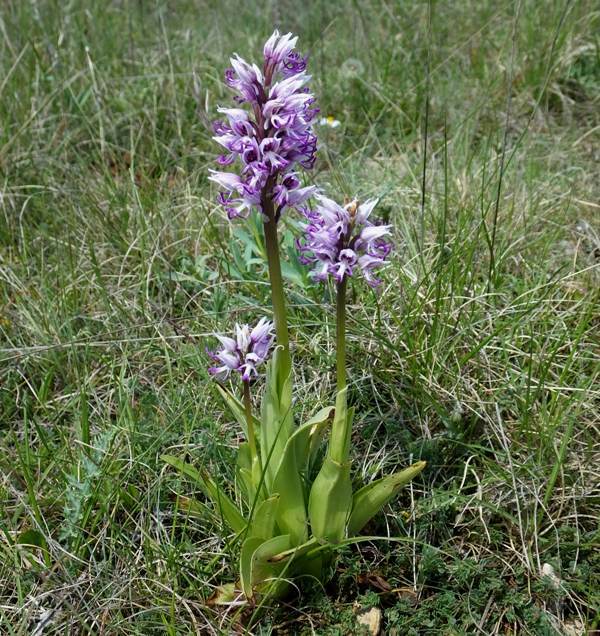 Further south in Europe, in southern France for instance, it is one of the first orchids to flower and can be found in April. The specimen shown on this page was photographed in the Lot Valley, southern France, in late May.